Services | Collins Manufacturing Inc. The CMI Quality Management System is designed and tailored to meet the applicable requirements of the ISO 9001:2008. It is emphasized that the QMS requirements specified are complementary (not alternative) to contractual and applicable law and regulatory requirements. Instant, positive grade identification for alloy quality  control. 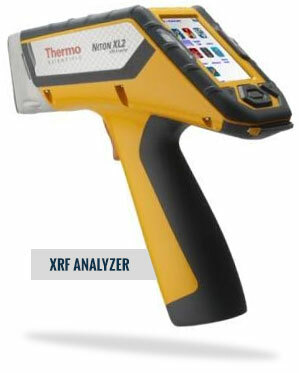 Extensive inventory of quality measurement equipment. Optical inspection equipment in QC and on production floor, with magnification up to 90x. Material / Product Identification, Traceability and Accountability maintained for all material heat lots. Outside Process Vendor Traceability maintained for all  production lots. First Article Reports in AS9102 Format.